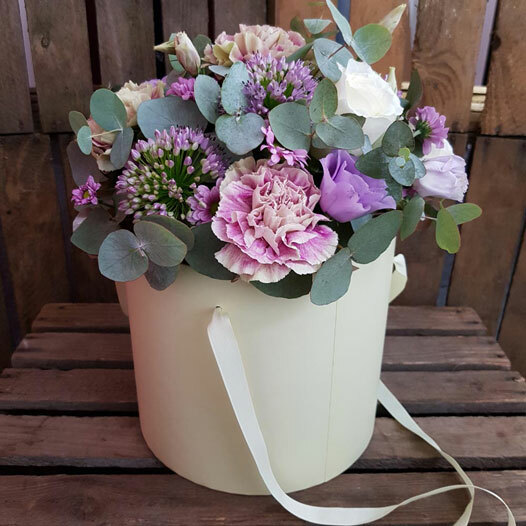 A stunning hand tied gift to send to family, friends, loved ones or colleagues. 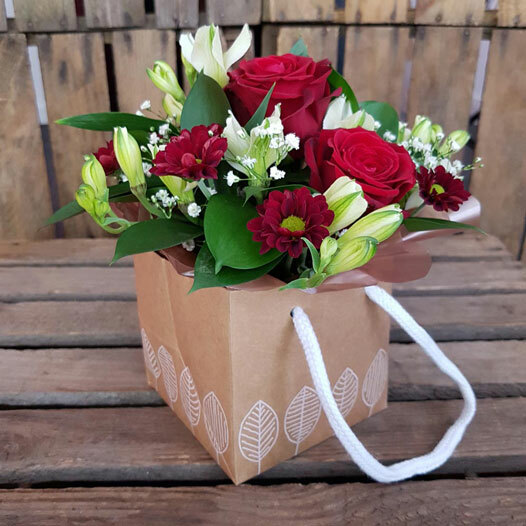 A beautiful seasonal hand tied to surprise your recipient. 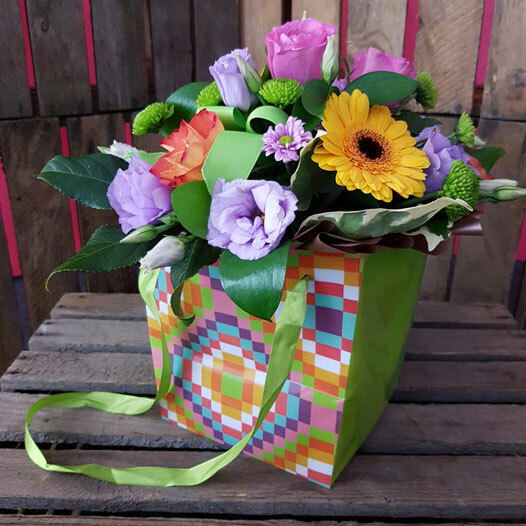 An Octagon original that is assured to brighten up someone's day. 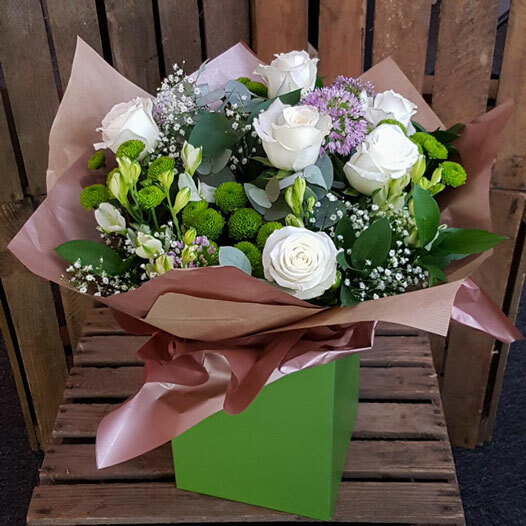 A beautiful hand tied arrangements crafted and delivered by Octagon Flowers. 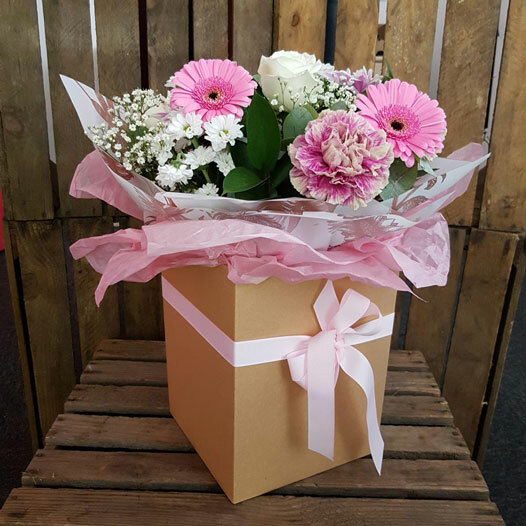 Presented in a complementary Castle-box container, this is a beautiful gift to send for lots of occasions. 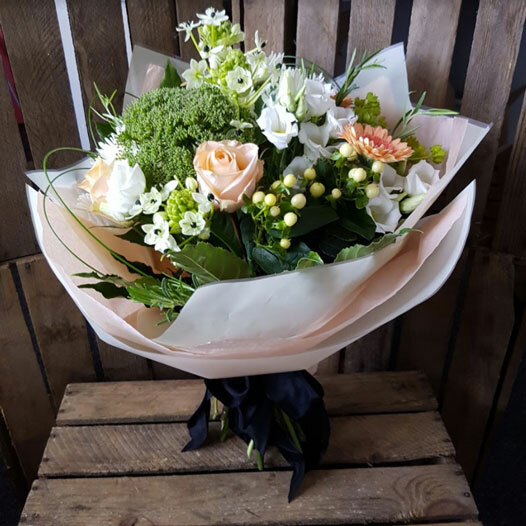 As well as offering beautiful flower bouquets and arrangements here at Octagon Flowers Bolton we also stock other gifts that can be added to your floral delivery like candles, chocolates and balloons. Also available are items for the home such as ornaments, cushions, jewellery boxes and windchimes for your garden. 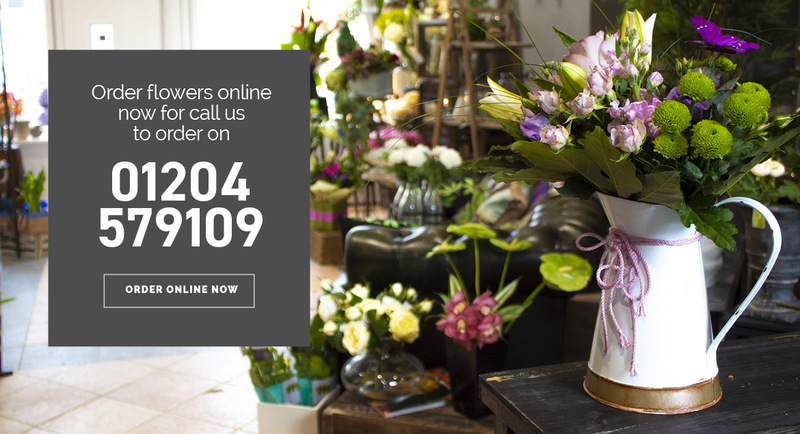 Send Flowers same day delivery with Octagon in Bolton we offer same day delivery throughout Bolton, the UK and Internationally through Direct2florist. Order before 2pm. 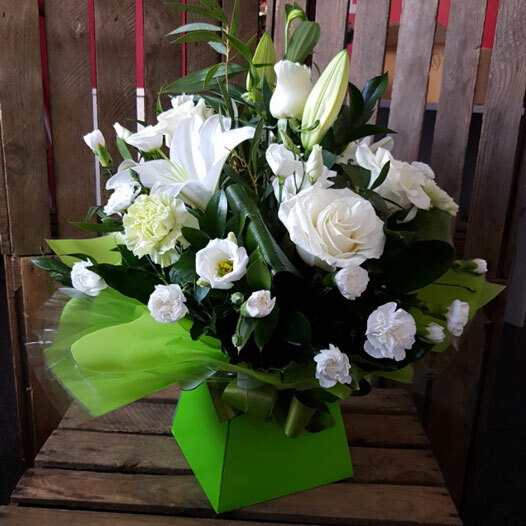 Octagon Flowers Bolton specialises in funeral flowers and we deliver to all the local funeral directors. Please note: *Same day delivery is available Tuesday – Saturdays only. 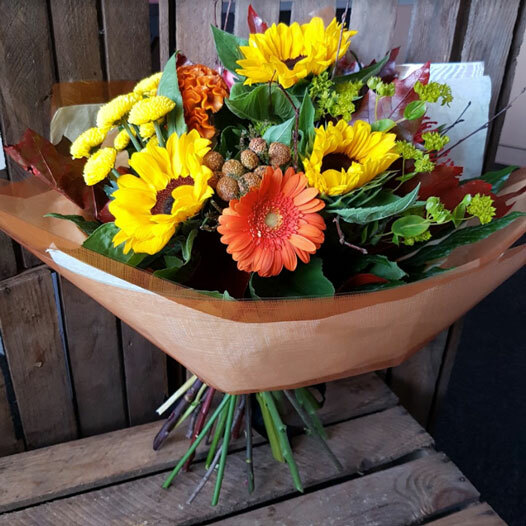 Whilst the shop is closed on Mondays - we deliver flowers to funeral directors and private addresses on Mondays as normal. Please pre-order by Friday morning for Monday morning funeral delivery.